This classic inspired design is inset with a hand cut pencil bevel. 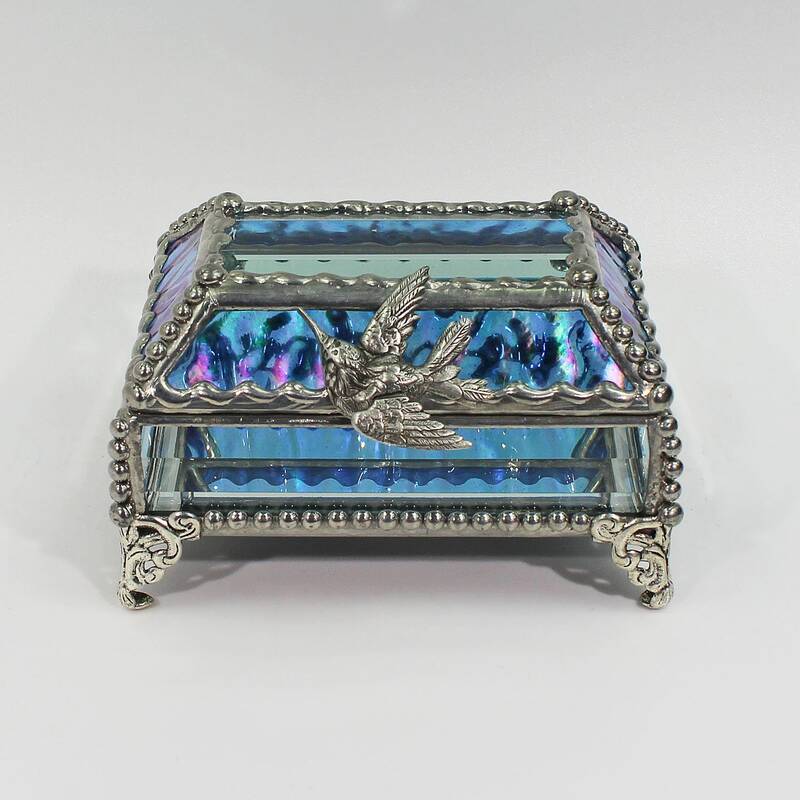 The bevel is then surrounded by leaded glass and extensive hand worked metal beading, bringing to mind the great detail of world famous Faberge eggs and uses many of the same techniques. it also makes it much more durable by dispersing pressure and strengthening the hinge. 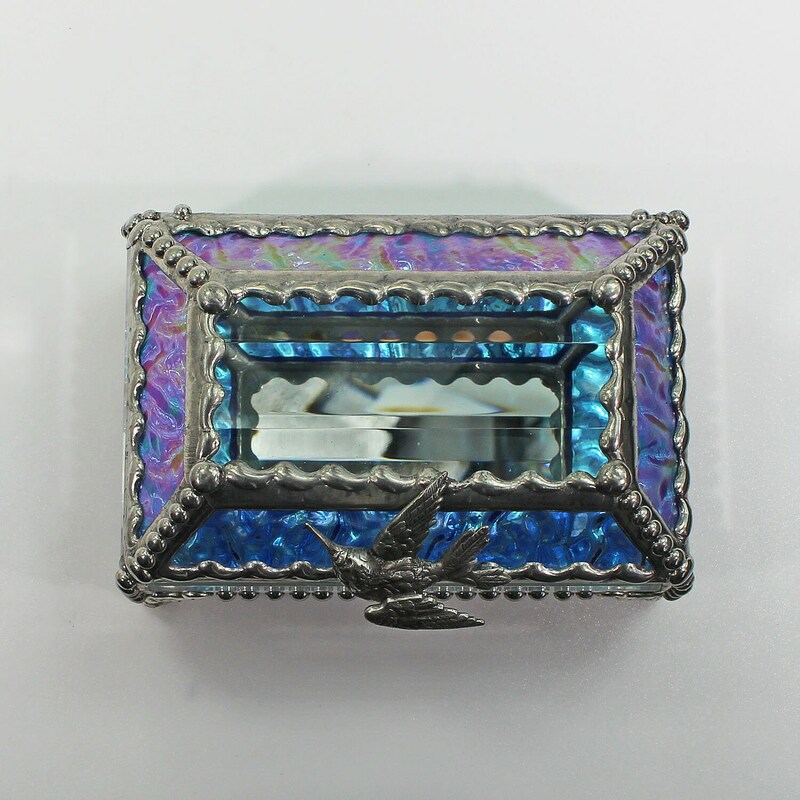 Iridized blue wispy glass creates vivid mother-of-pearl colors reflecting off the glass surface along with silver colored metal to compliment the two silver plated dragonflies. 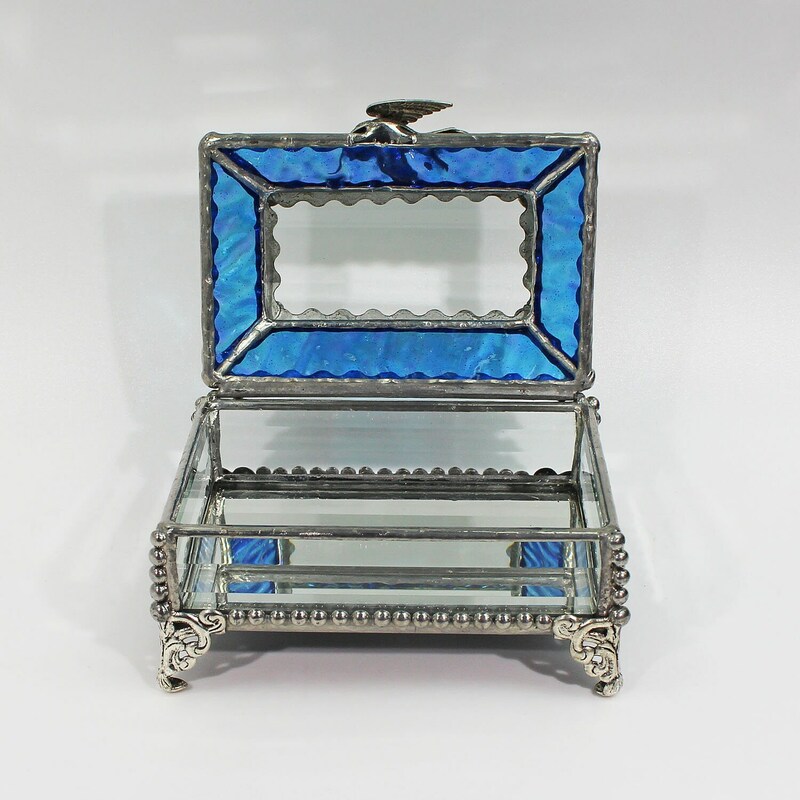 An heirloom quality treasure box signed by the artist. A completely unique gift designed to last a lifetime. Size 3" x 4" x 3"